Chili is fun food - hearty, substantial and just plain good eating. From its modest beginnings in San Antonio, Texas (before Texas was a state) chili has spread far and wide. 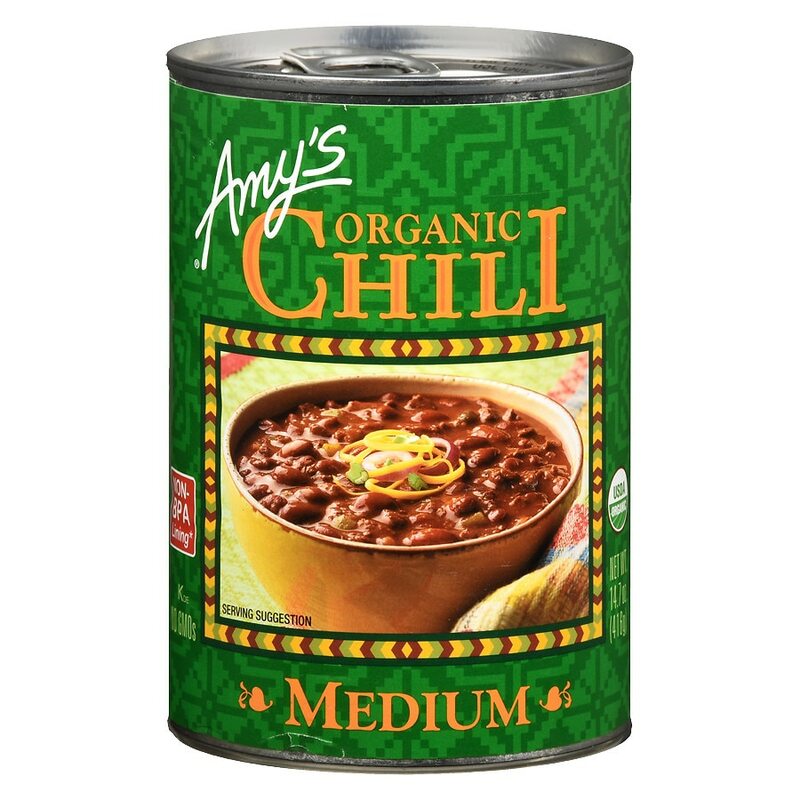 Amy's meatless version of this well-known dish - made from organic ingredients, prepared with the same care as our popular frozen meals and canned soups - will satisfy chili lovers everywhere. A medium chili made from organic red beans and tofu, in a flavorful Mexican sauce, for those who want the taste of chili, but not the heat. Shake before opening. Ovens may vary. Microwave: Place chili in microwave-safe bowl. Cover. Cook for 2 minutes. Let sit 1 minute. Stir. Serve. Stovetop: Place chili in a saucepan. Warm until heated, stirring occasionally. © Amy's Kitchen Inc. Contains soy. Individuals with Food Allergies: This product is made in a facility that also processes foods containing wheat, milk, tree nuts and seeds (including sunflower seeds). In addition to gluten testing, strict allergen control measures are implemented at all levels of production. Amy's Kitchen does not use any peanut, fish, shellfish or eggs.